Atlanta’s favorite green holiday has finally arrived, and we’re celebrating with the St. Patrick’s Day Irish Stroll. This is Day Two of the legendary bar hop, and the culmination of a whole weekend full of exhilarating events honoring the Emerald Isle. Your clover-clad cohort is in for an adventure, and no cover-charges will be slowing you down on this bar crawl. 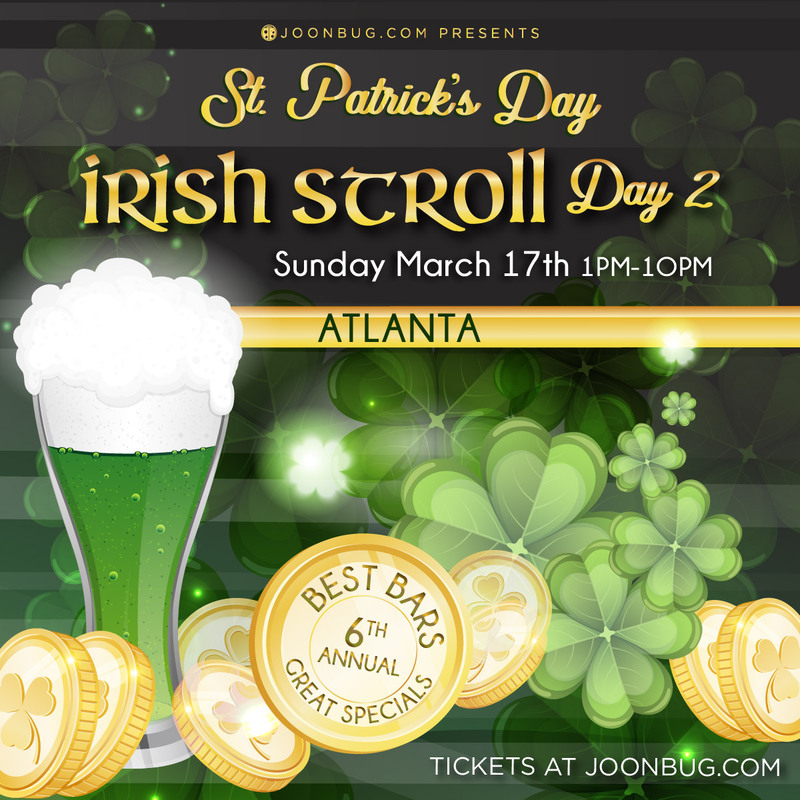 All of Atlanta’s hotspots are hosting St. Patty’s parties that take Irish spirit to the next level, and every single one of them is offering lucky drink specials, exclusively for the Irish Stroll! There’s no holding back on Atlanta’s Irish Stroll, because we’re here to make Ireland proud with pints. Head over to the registration point to pick up your wristband and map and get boozing! If you have more than four people in your group you can save some green with a group discount and if you’re a die-hard St. Pats partier, get a multi-day pass for access to a whole weekend of events. We’re ready for you, Atlanta.